Contined on from Leo Fenders invention Broadcaster Article — The third of Fender’s epoch-defining trinity of early guitar designs came in 1954. The impetus for the Stratocaster arose, George Fullerton says, from a demand by Fender’s sales department for an instrument with a vibrato arm. 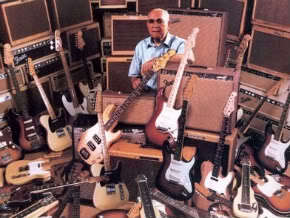 Leo gave them not only that but also a gorgeously contoured refinement of the Telecaster slab body. 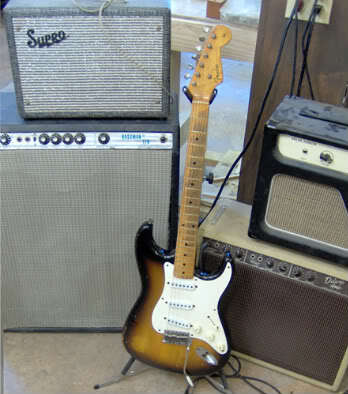 Like Eames chairs or Gilbert Rohde clocks, the Fender Stratocaster is today recognized as a landmark of mid-century design. 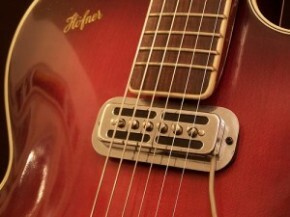 The Tele’s sophisticated younger sister helped establish a distinctive Fender tone, which Leo Fender continued to refine right up until the day he sold Fender to CBS in 1965, and continued to pursue in his later guitar and amp designs for Music Man and G&L.